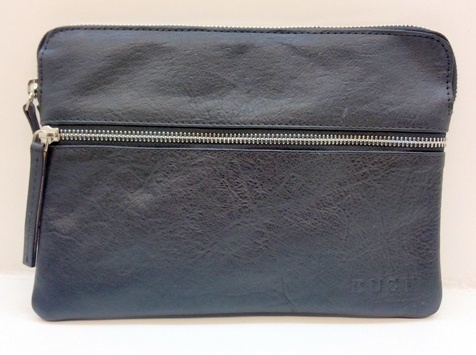 Black Cowhide Nappa Leather Tablet Sleeve iPad Mini - fits iPad mini and tablets up to 8 inch. Features a full-length zip pocket. Also available in iPad size (10 inch), 13-14 inch and 15-16 inch laptop sizes. Full size range also offered in Semi-Waxed Buffalo Leather and Calf Leather. Handmade full-grain leather. Designed by RUST in Sydney, Australia.